plus $9.95 shipping and tax. Based on Our original Kenworth Blueprints. 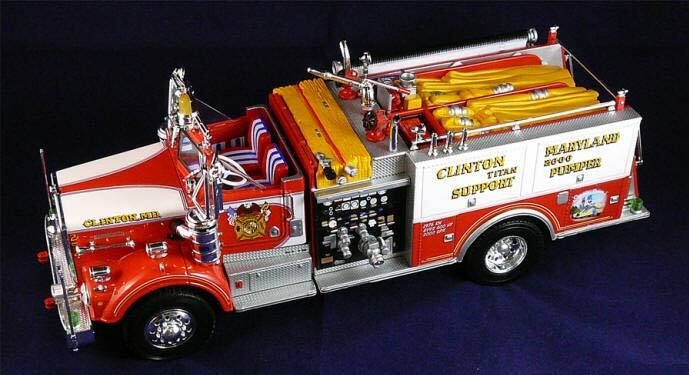 We are pleased to announce a special fundraiser to help pay for Clinton's new Engine 253. After months of detailed work with the die cast collectible manufacturer, First Gear Inc, we have produced a replica of our 1976 Kenworth Pierce Open Cab Fire Engine. Only 2500 units were produced. Join us in supporting the fire service by ordering your Authentic 1976 Kenworth Pierce today. 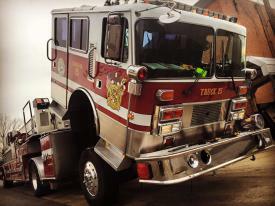 This collectible fire engine was designed by the fire fighters who work with this Kenworth Pierce and who are avid fire engine model collectors. Collectors know that only $60.00 is a great price for the most detailed and The Only Authentic 1976 Kenworth Pierce produced by First Gear for 2007. This is a model of our highly acclaimed Water Supply 25, which has been an active part of the Fire Service for over 30 years. PayPal: Click on the PayPal Button to go to the Secure PayPal Site. Credit Card: For credit card payments, click on the PayPal Button to go to the Secure PayPal Site. You do not have to have a PayPal Account when you pay with your credit card. Your generous gifts will enable the purchase of new tools and state of the art lifesaving equipment to protecti you and the community . We have attached a copy of the fund drive letter you may have recently received - just click here. New Fire Engine - Thanks to Your Donations!!!! We are proud to introduce you to the newest member of the CVFD fleet...Engine 253. 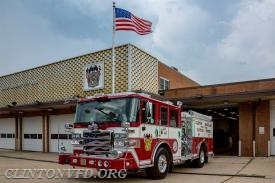 E253 backed into the station for the first time on July 16, 2018. We would like to send a huge THANK YOU to all the citizens of Clinton who donated to our annual fund drives! Your donations and support over the past few years made this purchase possible. 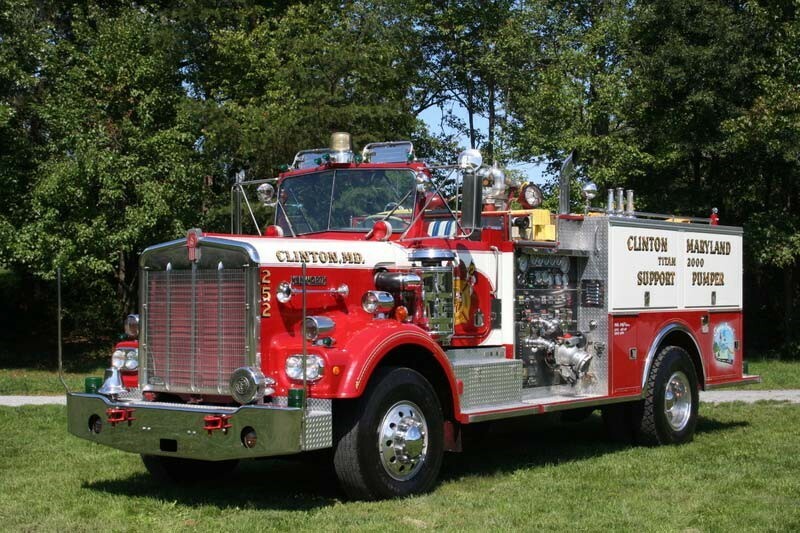 The Clinton Volunteer Fire Department is a local Community organization dedicated to providing quality Fire Suppression and Emergency Medical Care. Our staff is comprised of approximately 40 Active Volunteer Firefighter/EMT's who are trained to meet the same standards and competencies as the Career Firefighters who supplement our staffing. In addition to responding to your emergency services requirements in the greater Clinton area, we also provide mutual aid to the surrounding communities of Camp Springs, Morningside, Silesia, Friendly, Allentown, Oxon Hill, Forestville, Brandywine, Baden, Waldorf and Silver Hill. We are primarily a publicly funded non profit Corporation, dependent on your financial support. At the present time we operate an Engine Company, Truck Company and Water Supply Special Unit, as well as an Emergency Medical Services staff. 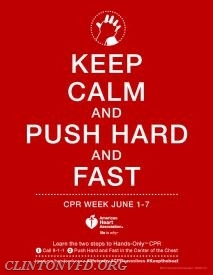 Please continue your tour of our web page, see how we work, respond and train.